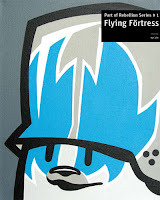 Munich based street artist Flying Förtress was prominently featured in the groundbreaking world street art survey The Art of Rebellion and first gained international attention for projects like his “Teddy Troops” and “Visual rock stars” exhibitions in London. 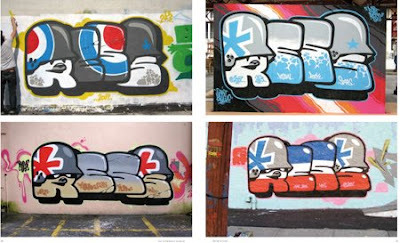 An original pioneer of the street art movement, Flying Förtress has mastered many different techniques and exhibited in galleries from Auckland to London- but he still works on the streets. Flying Förtress traces an exciting career from guerilla artist to gallery and back. 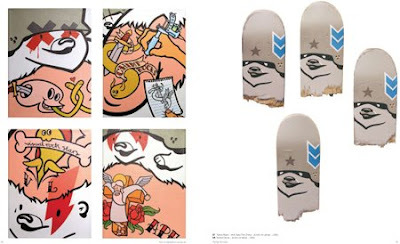 In addition to his work on the streets and in galleries around the globe this book also shows his collaborations with brands like Stussy, his vinyl toy series, and his works as an illustrator. Flying Förtress is the first publication in the Part of Rebellion series- monographs released three times each year, focusing on individual artists, cities and techniques first featured in the 2004 book The Art of Rebellion and Art of Rebellion 2 by Christian Hundertmark. do you know Dface's poem that he is typing letters by letters onto vertical surfaces all over in London?